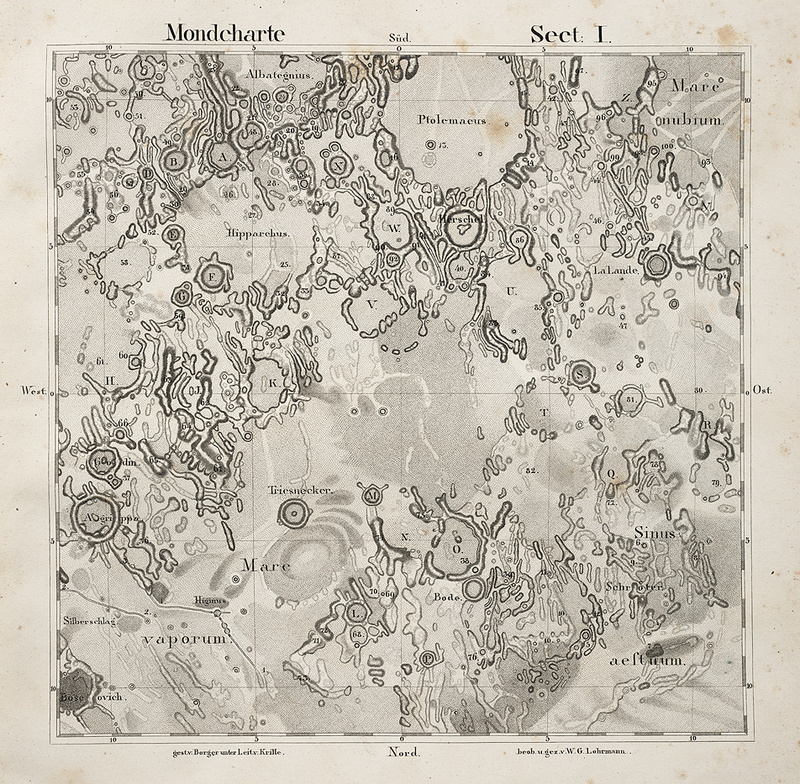 One of the most attractive features of Lohrmann's maps is the use of multiple levels of shading to indicate light and dark areas of the moon. The detail is from the first section, and shows Mare Vaporum (Sea of Vapors) and what is now called Sinus Medii (Central Bay). Notable features include Hyginus rill at the bottom, Triesnecker just below center, and Hipparchus at the top. It is interesting that the space just left of Triesnecker is blank. Later observers would map an intricate rill system there (see item 36).